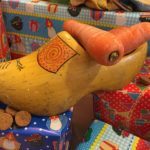 As most children in the Netherlands prepare to celebrate the period of Sinterklaas, some of us expats can be left overwhelmed with this uniquely Dutch tradition, without understanding the history behind it. Some aspects might be shocking (blackface), others might be endearing (leaving carrots in shoes for Sint’s horse). 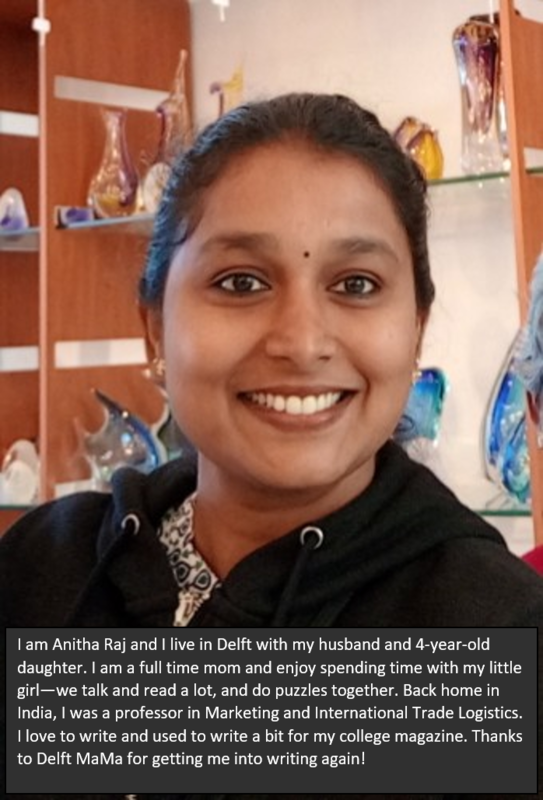 Join us as Delft MaMa Anitha Raj, hailing from India, shares a little background on Sinterklaas followed by her observations of this annual tradition. 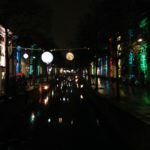 December in the Netherlands is a month of joy, laughter, festivals, lights, sweets and get togethers. There is happiness in the air all around. It is Christmas time and every nook and cranny is filled with celebration. 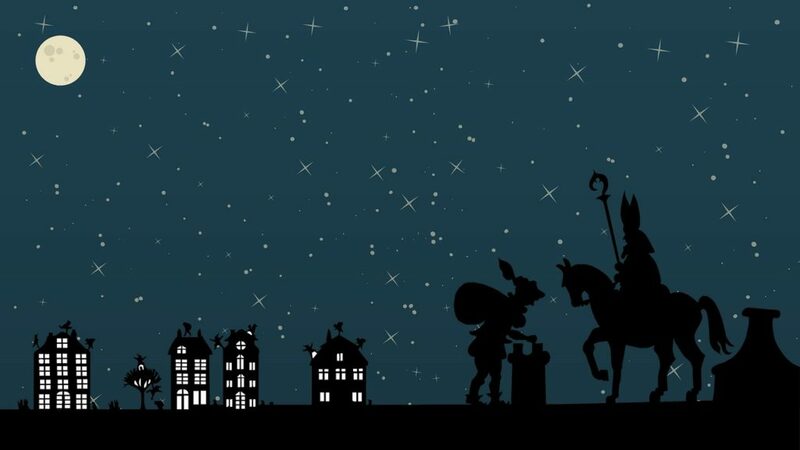 But the real joy begins a little earlier, in the month of November, with the arrival of the Netherland’s most beloved patron saint, Saint Nicholas—or Sinterklaas as he is known here—by steamboat from Spain. His arrival is an annual celebration called Intocht, and every year the boat arrives in a different Dutch port. The steamboat anchors and the Sinterklaas disembarks and parades through the streets on his horse, welcomed by people cheering and singing traditional Sinterklaas songs. Sinterklaas doesn’t come alone. He has his companions who also happen to be his helpers. The arrival of these strange men amuses the crowd more. 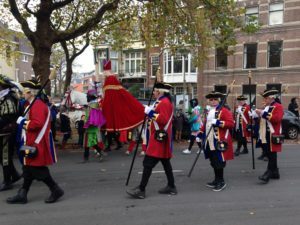 These helpers are called the Zwarte Pieten (“Black Petes”), and they wear colorful Moorish outfits with lace collars and feathered caps. 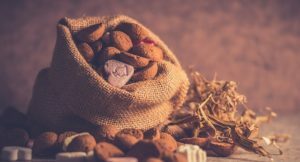 More importantly for the children, however, it is the bags that they carry, containing candies or small, round gingerbread-like cookies—kruidnoten (hard and crunchy) or pepernoten (soft and chewy)—that they throw into the crowd. What more do you need, than the delicious candies?? The Zwarte Pieten also carry a chimney sweep’s broom made of willow branches, which they also use to spank the children who had been naughty. Even naughtier children are put in their bags and are taken back to Spain. The message is clear for children to behave! 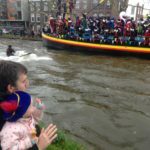 Following this national arrival, every other town celebrates its own Intocht van Sinterklaas. Local arrivals usually take place a little later. 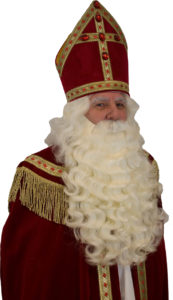 Say for instance, Intocht in 2018 is on the 17th November, but in Delft, Sinterklaas arrives on the 24th November with his Pieten and Amerigo. In places without a port, Sinterklaas arrives by train, horse, horse-drawn carriage or even on a fire truck. Here is that beautiful song the crowd sings to welcome the goed heilig man (“good holy man”) and his team. Those children wake to find little treats in their shoes—usually mandarins, sometimes pepernoten, chocolate coins, or even a chocolate letter. The main celebration, however, is on the 5th of December, Pakjesavond, with gifts. And sadly, Sinterklaas departs without any ado on the 6th December. The wait now begins again!!! Being an expat, the whole Sinterklaas celebration intrigues me. I just can’t get enough of it even after witnessing the Intocht, year after year. I have a 4-year-old who now knows all about Sinterklaas and can hardly wait until his arrival in Delft on the 24th of this month. All of a sudden, our chimney has become her most favorite part of the house. Her biggest concern was whether or not our chimney was big enough for Sinterklaas to drop her gift. She keeps checking to make sure it won’t prevent her gift from dropping down! It feels so good to see her leave some food for the horse. What a way to build humanity in children! Life is all about cherishing the simple moments and rejoicing every celebration! I hope you enjoy Sinterklaas as much as we do. Welcome, Sinterklaas, to Delft!